The overall look and quality of the packaging is quite good and sturdy. The bottle has a simple and clean design with no odd bumps or edges. The wand is my favourite part, it is amazing! It is made with short but abundant and dense bristles. This really works to grab all your lashes individually and coat them evenly. It also helps to separate your lashes avoiding clumps in your application. This wand is easily one of my favourite designs of all the ones I have personally tried. I recommend this for you if you have thin sparse lashes and tend to get the spidery look with other wands. In short I love this formula for my lashes! It is a gel based mascara but it was not heavy on my lashes and dried relatively quickly for a gel base. Since it is not heavy it does not weight down my lashes and make them droopy. When you first apply the mascara it glides on smoothly and easily however it will transfer to your under eyes so do be careful and give it time to dry. On the bright side I found that since the wand was so slim I had fewer accidents and can apply my mascara quickly without being overly careful. As for volume and length do not expect it to work miracles but I found it gave me a good amount of length and fullness without clumping or creating the spidery effect. The formula is extremely waterproof, I have tried to use simple face cleansers to wash it off as a test and it barely budged. I had to use an oil based makeup remover before it came off easily. Longevity wise after a long day of being out and about I did not find any smudging on my under eyes even with my watery eyes. Lastly, this mascara thanks to its waterproof ability it does not flake even if you rub your eyes. Overall, I really recommend this mascara if you do not mind having to use an oil based makeup remover when taking off your makeup at the end of your day. Just remember, since it is extremely waterproof you need to soak cotton pads with remover and place them on your lashed for a minute without rubbing and it will come off. Follow my FACEBOOK page for updates, giveaways, and previews. Also as always click on the image if you are looking for where to purchase the product. Dollywink is a Japanese brand that carries amazing products especially fake eyelashes and mascara. This mascara was gifted to me and I instantly fell in love with it on the first try. From my experience I have learned that mascaras usually do not do what you want it to do on your very first try. But when your 2nd – 3rd try of the product swings around it will usually start to work the way you want it to. Since I am Asian I have been blessed with thin and insignificant lashes so finding mascara that works well is hard. Honestly speaking, this could become my staple mascara. 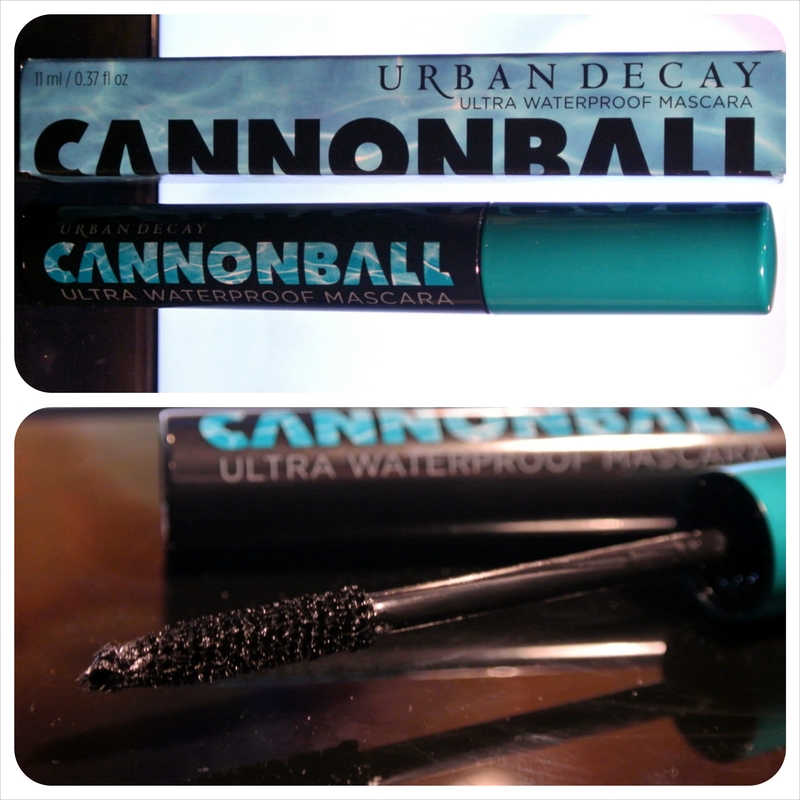 To begin with, this mascara is VERY waterproof! This baby will not wash off with just water, so it is definitely a plus if you tend to find your mascara under your eyes at the end of your day. The only thing that washes it off is a good soaking under cotton pads with oil based makeup remover. So I highly recommend this mascara if you do not mind the difficulty in removal, and you are looking for a waterproof mascara. This would definitely be amazing if you needed to take a trip to the beach, it will not make you look like a monster after your day. I found this mascara very volumizing, my lashes looked fuller without clumping. Not only did it make my lashes look fuller it also lengthened my lashes a bit. My lashes do not get exponentially longer like lengthening mascara would, but it does lengthen enough for a natural look. The small, short, and dense bristles on the wand are great for short lashes. I also found that because of this design, it was rare that I would get mascara in places I did not want it. On the negative side the bristles are not all around the wand like you would find in many mascara wands. This design does contribute to the product not getting everywhere, however I had to pay attention to the side the bristles are facing before using it. Overall I really recommend this product if you are on the hunt for a smudge proof mascara. Its great ability to create a fuller look with some length is definitely a plus in my books. ***Also can be found on my LUVOCRACY page.